Angelo William Percacciolo, age 94, passed away peacefully on Friday, December 7th in his home with his loving family by his side. Born in Cold Spring, NY September 26, 1924 to Joseph and Rachel (Constantino) Percacciolo. He was predeceased by his loving wife of 69 years, Elaine (Sylvester) Percacciolo. Angelo built their home on Church Street where they raised four children; Elaine Way (Richard), William Percacciolo (Joyce), Annette Flaherty (Robert) and Anthony Percacciolo (Joanne). He was predeceased by his brother Joseph A. Percacciolo Jr. and grandson, Joseph Angelo Way. His loving sister Teresa (Percacciolo) Van Tassel of Fishkill, formerly of Cold Spring survives, along with ten Grandchildren; Richard Way, John Way (Darlene) and Angela Fanette (Darrin), Michael and Nicole Percacciolo, Rachel (Flaherty) McNamara (Joseph) and Kelsey Flaherty and Claudia, Anthony and Thomas Percacciolo. Seven Great Grand-children Joseph and Jacob Way, John Robert and Natalie Way, Anthony, Andrew and Lauren Fanette and several nieces and nephews also survive. 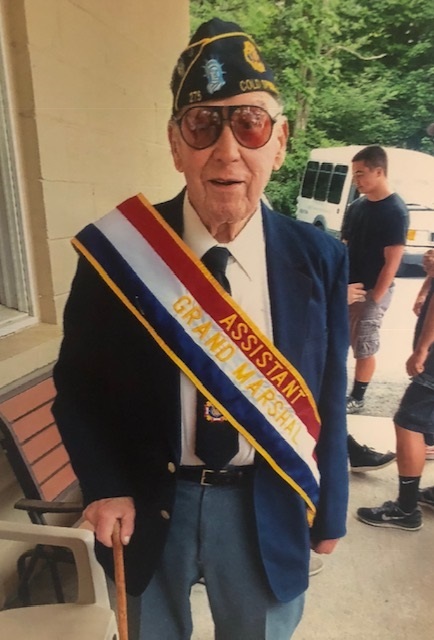 Angelo was a parishioner of Our Lady of Loretto Church and graduated from Our Lady of Loretto Grade School in 1938 and from Haldane High School in 1942. 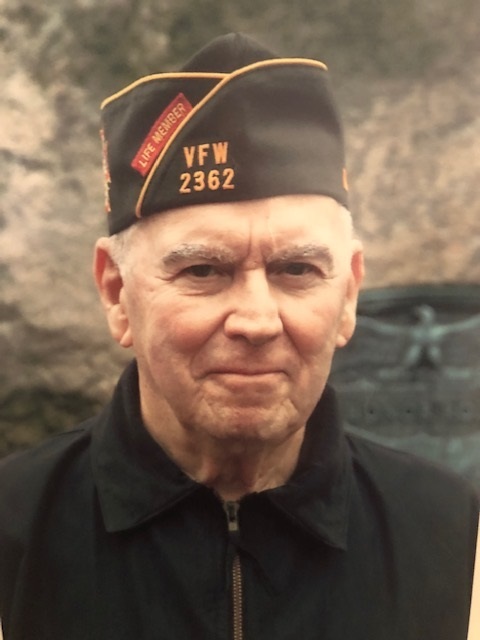 He was a lifelong member of the Cold Spring Fire Company and an Honorary member of the North Highlands Fire Company, the VFW post 2362, American Legion Post 275 where he was President Adjutant. He helped to build both the VFW and the American Legion Halls after the war. He also organized the Cold Spring Drum and Bugle Corps, a local organization that played in numerous patriotic parades in the area. He was a member of the Dutchess Drum and Bugle Corps in Beacon for many years. Angelo played in many local orchestras and formed the “CNP” with his very good friend, Carmel Carufe. The band was very popular in the area and played for many dances and club dates including the Mount Beacon Casino and the Bear Mountain Inn. He loved the big bands and would go to their performances at the Paramount and Capital Theatres in New York whenever they appeared there. Angelo served his country proudly enlisting in the United States Army Air Corps at the age of eighteen. He was a radio operator and top turret gunner on a B-24 Liberator stationed in Seething, England during the European Theater of Operations. He flew thirty-five combat missions as a member of the Mighty 8th Air Force, 448th Bomber Group, 712th Bomber Squadron. He and his fellow crew of 10, named “The Pied Piper” were cited numerous times for valor and meritorious service. He was awarded the Air Medal with 5 Oak Leaf Clusters, 3 Battle Stars for Campaigns in Normandy, Southern France and the Rhineland. He received the World War II Victory Medal and the Good Conduct Medal. Upon discharge in October 1945, he went into the construction business with his father and brother known as Joseph Percacciolo and Sons. He was a member of Local 137 I.U.O.E. as a Heavy Equipment Operator. On April 8th, 2017 Angelo participated in the Hudson Valley Honor Flight Mission #15. He was accompanied by his son, Tony. They flew out of Stewart Airport and spent the day with other WWII, Korean and Vietnam Veterans touring Washington, DC. Angelo enjoyed traveling with his wife and betting on the horse races. He was especially proud of his children and grandchildren and loved spending time with them. He was an avid New York Yankees and New York Giants fan and enjoyed watching their games. Angelo was known as a genuinely kind and generous man. He will be missed dearly by his family and all whose lives he touched. Friends may call on Thursday December 13, 2018 from 5-8pm at Clinton Funeral Home, 21 Parrott Street, Cold Spring. A Mass of Christian Burial will be held on Friday December 14, 2018 at 11am at Our Lady of Loretto Church, Cold Spring. Interment will follow with military honors at Cold Spring Cemetery. In lieu of flowers, donations may be made to hvhonorflight.com or checks made payable to H.V.H.F (or Hudson Valley Honor Flight) mailing address: Hudson Valley Honor Flight ATTN: Donations P.O. Box 375 Walden, NY 12586.